And and I began to brainstorm. 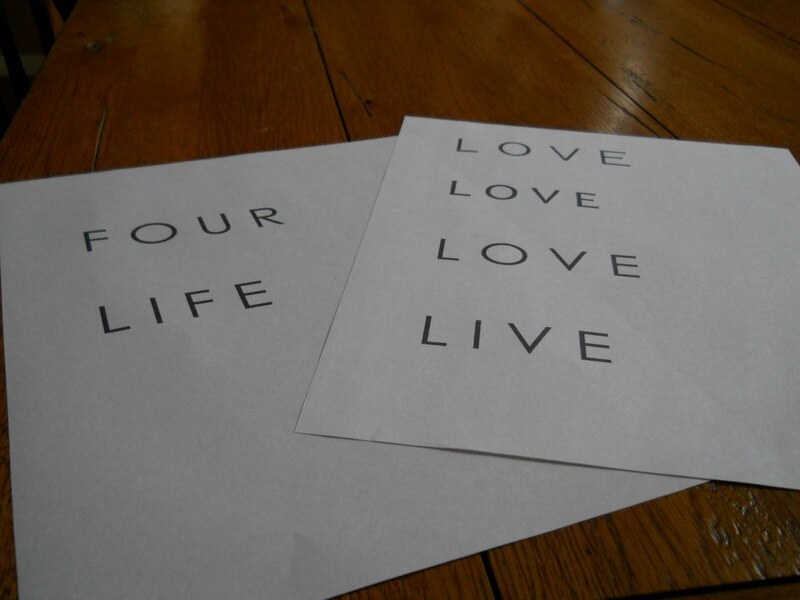 I just typed up some four-letter words (the good kind) on my printer in some cool fonts. 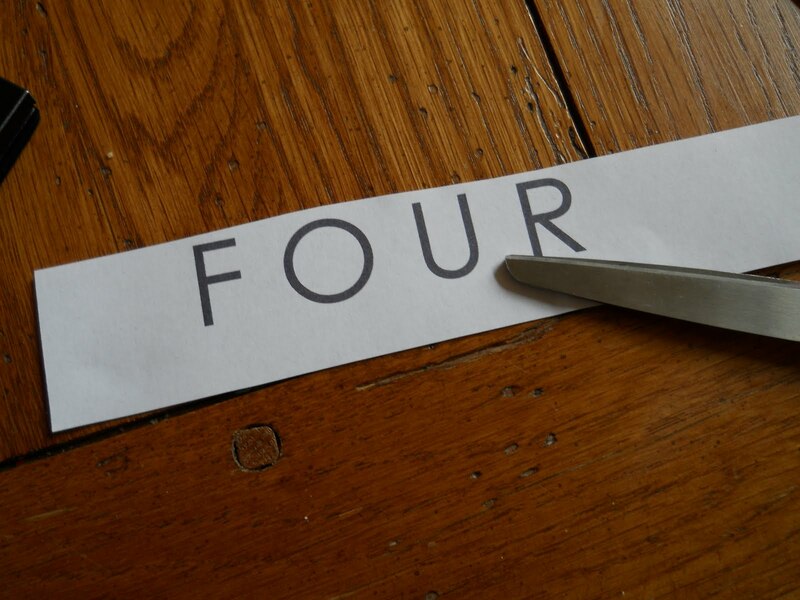 Cut the paper to fit each frame. 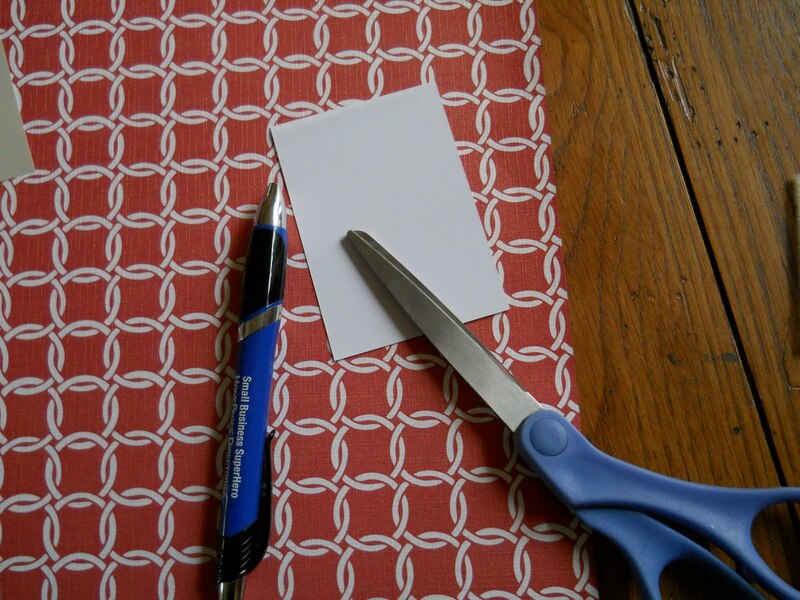 Glued each letter to the cutout scrapbook paper. 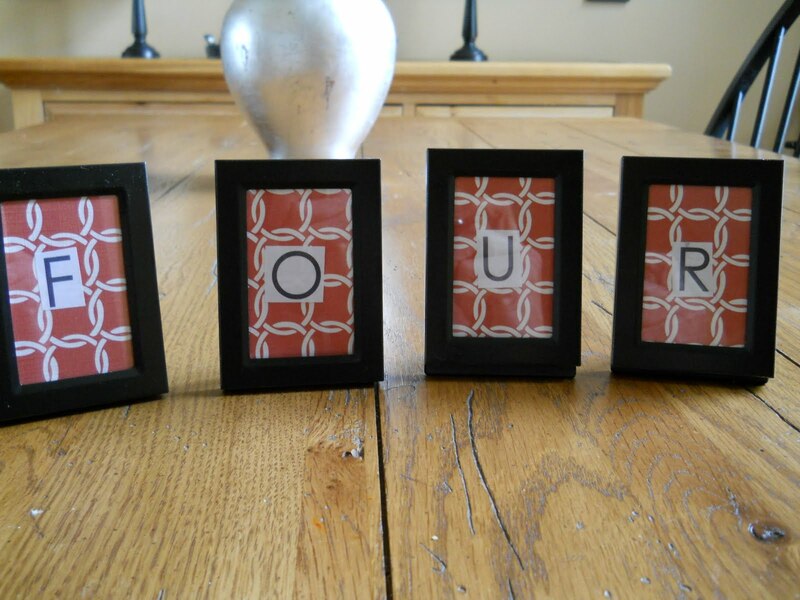 The four represents the four of us in our little family but the beauty of this little project is that I can change out the paper and letters to fit each season for less than a dollar! Here it is on my “summer mantel”. Total cost- $ 4.45 for a whimsical little craft! 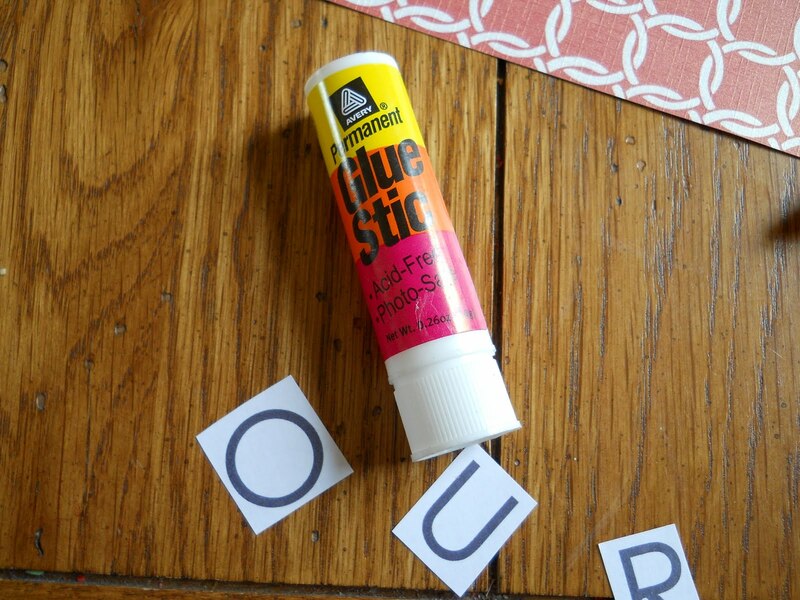 Head over here for lots more Dollar Tree crafts! Cute! Man, I need to get a silhouette… there is so much you can do! Thanks for stopping by Stevie! 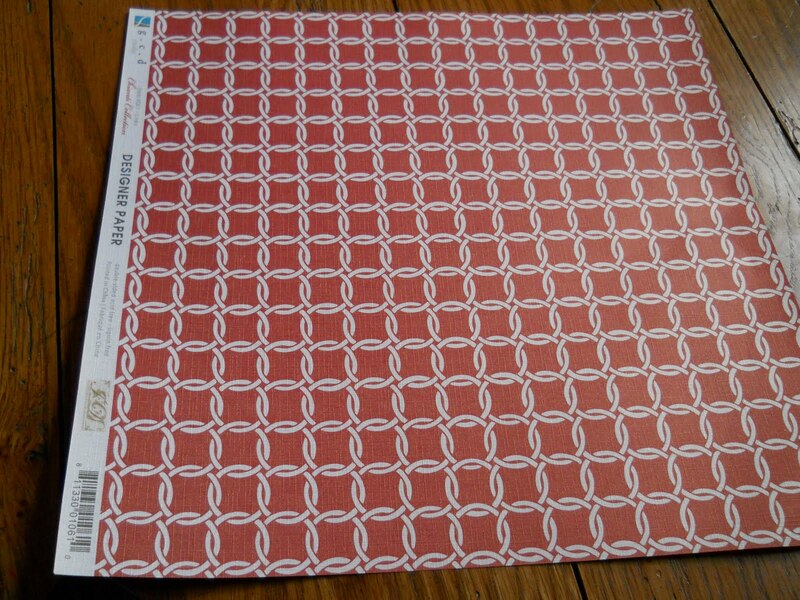 Thanks for linking up your fun project, Kari! Can't wait to see what else you keep coming up with! Very cute! I don't have a silhouette either…I think that just makes us more creative! 🙂 I am dying for one as well. I am visiting from the Fun Friday blog hop. I love the interchangeable idea too, have a great weekend! @ Molly- Thanks so much for stopping by! @ both- We soo are having a Silhouette party when one of us gets one, right???!!!! What an absolutely adorable craft! I found you at Little Lucy Lu! Can't wait to see more of your posts! Love this idea! I am going to do this ASAP. I've been looking for a cheap way to mix things up in my family room. Thanks for the great idea!! How cute! 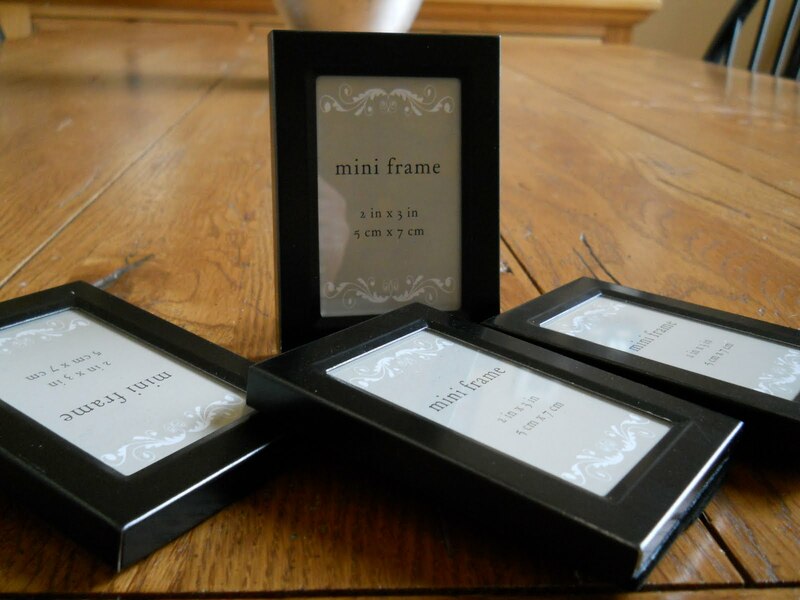 I bought some of those frames too. 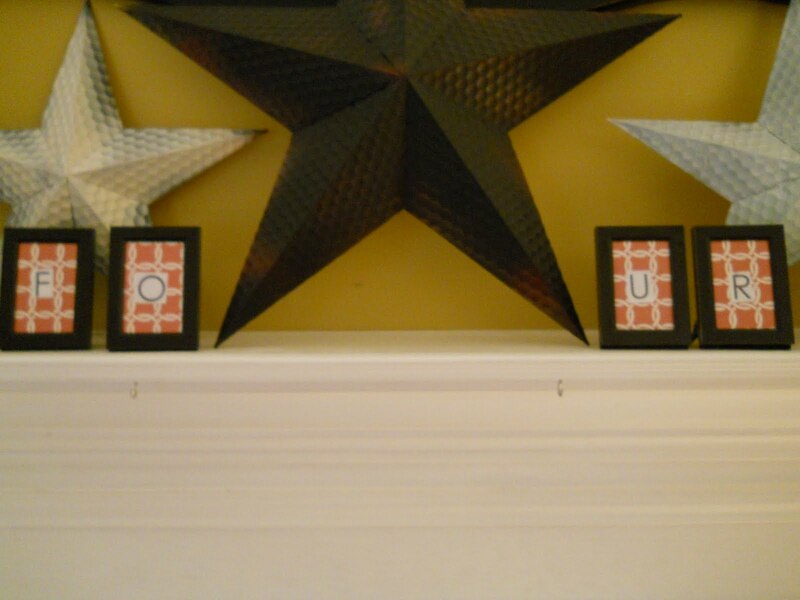 I'm excited to see the rest of your mantel. Thanks for linking to the party. I hope to see you again hext time. Thanks Leanne! 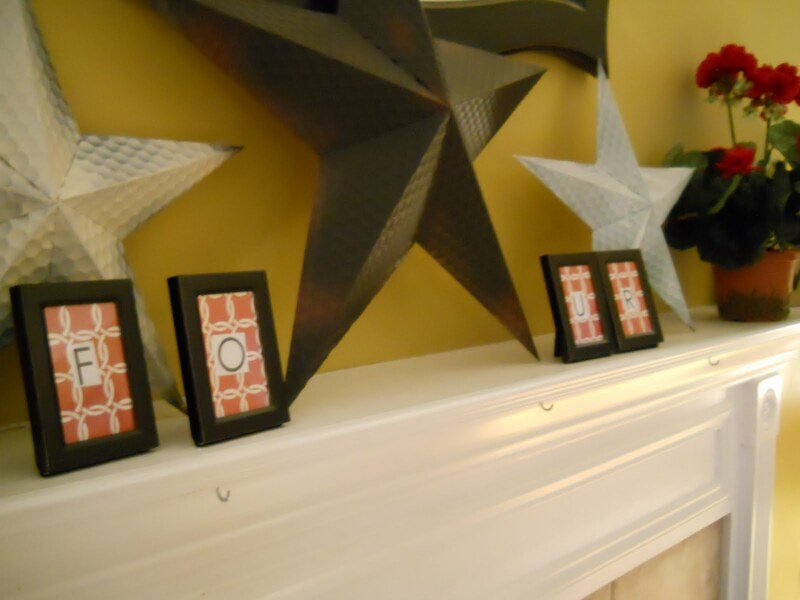 The mantel is slooowwwly coming together but I love how a blog can inspire me to get something done around here! Thank YOU for all of the inspirations! Glad you liked my ideas too! 🙂 I just love to make things! No bit of scrap of anything is safe around me! LOL!